I had a whole lot of left over macarons and this is what we got 🙂 You either love the look or hate it, but it was quite yummy if I do say so myself. 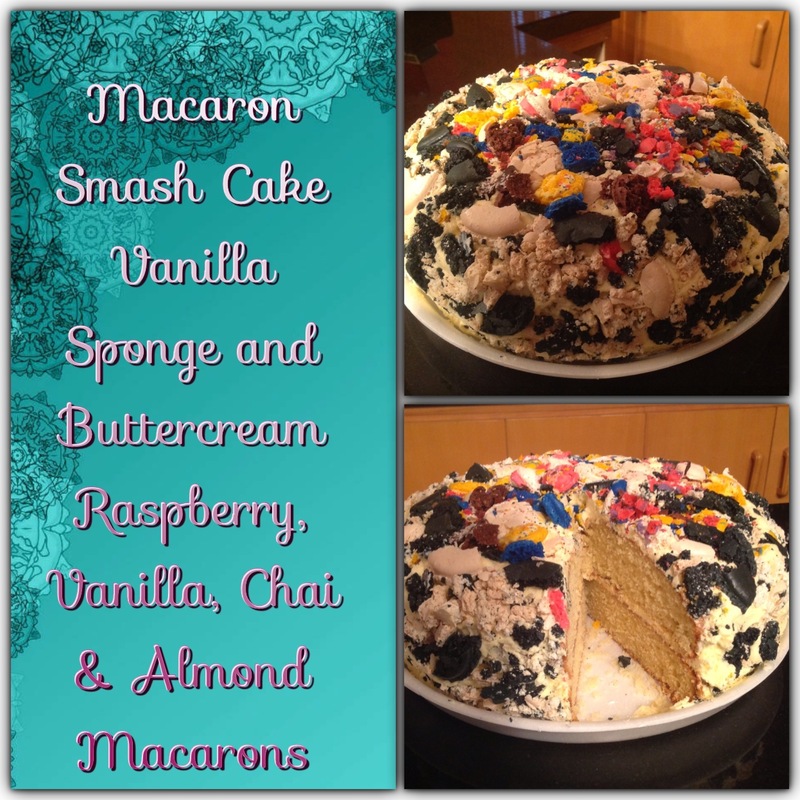 Vanilla sponge with vanilla buttercream and smushed chai, raspberry, almond and vanilla macarons. I think there may have been a few lamington macarons in there also.